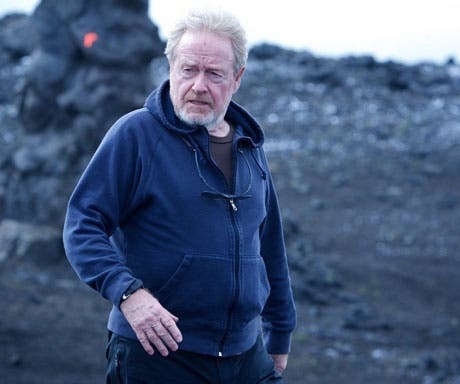 In Sir Ridley Scott’s Prometheus, a quasi-prequel to his 1979 blockbuster film, “Alien." 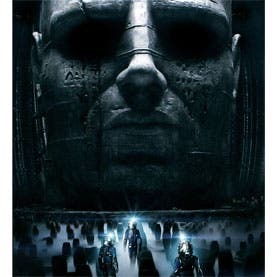 which lands in theaters Friday, June 8, an Earth-based crew is sent on a journey to a near-by star system to explore a planet believed to host an advanced civilization. The great question film asks is "Did aliens create the human race? If so, does that negate the existence of God? Or, did God create the aliens?" “I love that contradiction in her, to be a scientist and religious at the same time,” Rapace told FoxNews.com. “It just like a constant war zone in her between those two sides. But I do think it’s because she chose to believe and she is connected with something — her God — that makes her strong in the most destructive, dark and crazy moments when everything is falling apart." "Because she has that faith — that’s what makes her a survivor. It’s her faith that saves her, not the science. It’s not the brain, but the heart, and I find that quite beautiful,” Rapace said.Scott explained that Shaw’s religious faith was based in part on dinner he shared with nine astrophysicists, including three scientists from NASA. "It doesn't matter how much faith you have or don't have. Ridley Scott told Esquire. "I just don't buy the idea that we're alone. There's got to be some form of life out there."